African safaris expectations: What to expect for life uplifting trips to Africa. Is Africa on your bucket list for the global tour 2018? May be it's time to start planning your trip to Africa; be one in a million who are relishing the safari potential of the first man’s cradle land approved by archeological findings. 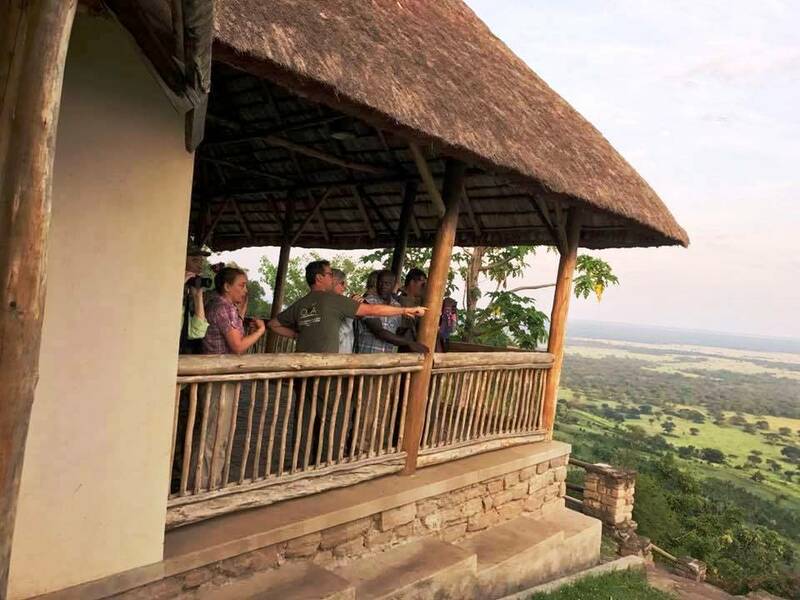 Tourists excited about the view of the hotel at Enganzi lodge. You will find that tours to African wild places are always incomplete without a remarkable step in either Uganda or Rwanda as the beautiful and remarkable magical travel paradise tucked deep into the remote corners of the endowed world. While on African tour what do you expect? In here we highlight 12 major safari expectations as you indulge in an Original Eden which is a natural home to the world’s greatest concentration of primates. Our small group safari itineraries pre and post defined will take you to wild offbeat safari destinations like Kidepo valley national park in the much endowed remote corners crowded with only wildlife in Uganda, here you feel wildlife at a glance as the first person to step in the land. Deluxe lounge at Clouds mountain gorilla lodge. 1. Accommodation choices for your safari in Africa: The first question tourists ask themselves is how are accommodation like in Africa mostly in the wild places and remote corners? While there are superb five star hotels in every touristic point in Africa both in the city or closer to national parks, there are choices of accommodation especially in safari camps that might look like what you’re used to getting elsewhere in your travel destinations. Sometimes spending a night in the tented camp might look quite different, the campsites here have something to you beyond your safari imagination. There is no need to fear as these camps are always equipped with all what you need; you will be amazed to find everything in one place. Every facility will be equipped with running water, hot shower, comfy beds and a bigger percentage of them if you’re lucky will be having a wifi provision which is always free of charge. Wifi can be in your rooms, lounge or in the main bar area, the general idea will be welcomes with an impression of hidden treasures and this will be a once in a life time experience. How close you can get while in Africa. 2. Close wildlife encounters and in harmony with nature is Africa’s safari specialty: You will never feel as close to nature as on an African safari experience, it’s only in Africa where safaris are quite untamed and live. From tropical rain forest undergrowth in the morning, to the raising Savannah experience tourists have a diversified itinerary just in quite amazing safari scenarios. African will never fail to excite your travel ambitions with her rich and varied array of wildlife in amazing landscapes. From primate walk in Kibale to watching the prowling lion prides in Queen Elizabeth national park, one has the potential to join the boat cruise at Mweya and crown with hot air balloon tour before leaving the same wild place. Your ranger, guide or safari driver will always be willing to help you achieve the best of your safari,however keep it in mind that safari game drives in most national park are restricted in game tracks. Off driving is penalized by conservation laws, always observe the regulations and this is for responsible Eco-tourism while conserving the natural treasures of African for generations. Get off the beaten paths and learn about local coffee processing. 3. Traveling like a local-seeing mother Africa in eyes of the local people: When we talk about traveling like a local we don’t refer to you staying at home or coming to Africa and stay in that hut or a filthy Banda. This is a trip idea effective for you to discover Africa beyond the daily safari trails while saving money of-course, we all know happy traveling and the decision to better travels gains much sense and benefits the traveler and the local community if we are to get away from known to unknown. While in Africa expect to have the natural taste of the rich soils aroma on all the food which are locally grown, be off beat to discover and excite your safari style only to leave the region with not only a full album of photos but nice and energizing stories to tell. The best time you can have while sharing with your guides on an African safari. 4. Up-close and personal people interaction: An African society is held together with traditional bonds, the spirit of togetherness is alive and a strong societal norms in Africa.While here you be amazed by the community experiences where you get to meet people and mingle with cultures. A warm handshake is a greeting traditional and please come with a smile, the younger and the old will always smile to you with child dominating the road side scenes waving hands to every tourists jeep with Mzungu….and will feel happy doing it.Feel free to give a reputable feedback to them keeping in mind some can try to request something like pens, books, money etc.. And while we support the community in both capacities we don’t advise direct giving to them. While in your lodge, you will find staff willing to offer the services and to talk to you, you will again sit on the table with other tourists from other parts of the world, talk and share more information about the travel destinations they have participated into and this is another beautiful way to get up close and personal while enjoying the African safari experience. 5. Bad or weak cell phone signals: Whereas most lodges work hard to have the wifi provision just for tourists to keep in touch, you will find that the reception is weaker in most parts of the region. These days wifi provisions are being incorporated in safari jeeps too; all these are meant to have you comfortable on the safari. You will find it necessary to check the messages and bombard your friends with safari experiences while sharing photos on social Medias like Facebook, Instagram etc. 6. African safari mystery of guiding coded Bush language: Often your lead guide will be conversing with other rangers, these are the advance teams who do wake-up early to locate the position of Mountain gorillas if you’re on the trek or the staff in search of wildlife monitoring to provide the navigation codes and trace directions of the game drives. They will use the “code-words” often so be prepared not to bother knowing what they will be talking about, in most cases the lead guide will be telling you how far is your trek or how closer you’re getting to wildlife after his communication. This sometimes brings excitement and misery to the tourist on such treks especially when you hear they are far from your point and you’re already to give up and sometimes you need to be patient as something amazing might be knocking around the corner for you! Instinct safaris responsible eco-safari guides. 7. Tipping staff in Africa: You will find that tipping is personal and an option, however it’s taken to be an appreciation of the service offered and will be welcomed as else where. Each field will have different tipping measures, mostly in lodges some share as a team. For your guide/ ranger/ hotel staff It’s advisable to think of something between 10 and 15$ a day. This is personal and offered at the end of the day, any amount larger or smaller will always be appreciated. 8. 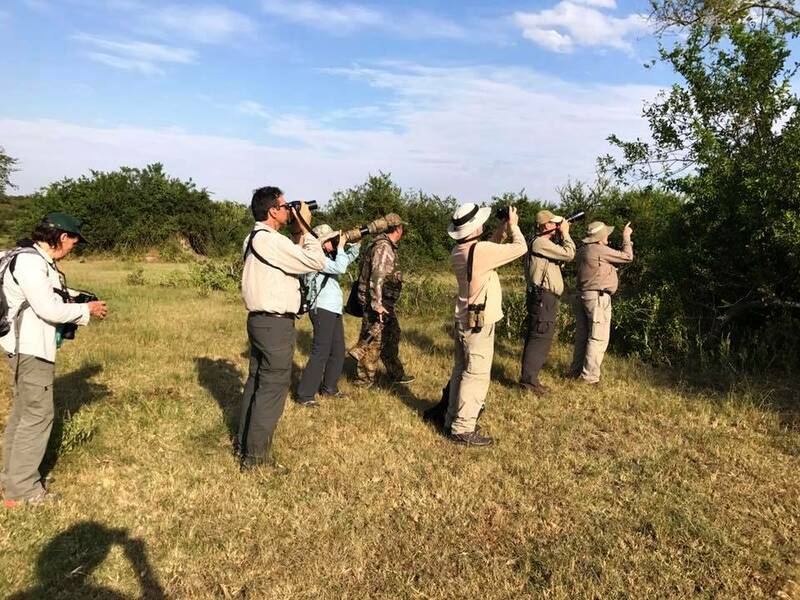 Big five and little five safari experience: The current African safari tradition is that everybody is coming to see the Big Five; mostly tourists are excited to come and encounter African Elephants, Rhinos, Buffalo, Lion, and Leopard in their natural home-the wild habitat. However a true African safari is beyond this, there is full world of opportunities available for safari goers like the chimpanzee habituation experience and mountain gorilla trekking are the key safari figures on the African safari wildlife trails. After meeting the big five now it’s time to think of the Small Five too, this is attributed to the small and little fellas that deserve little attention and appreciation as well.These are Elephant shrew, Rhino beetle, Buffalo weaver, Ant lion, and Leopard tortoise. 9. Tricky comfort highway and safari breaks: I talked about this on packing; you need to understand in some situations where you are doing your game drive inside the national park, things might look different. There are no provisions for public toilets in some few cases; this can be during the transfer from one lodge to another or from one national park to another. So how will you hold the request for nature, sure it will dictate and some where you will need to empty your bladder/ stomach. This is where the concept of a bush toilet gains sense. 10. Early morning safari wakeups: As the saying goes, an early bird catches the worm.Depending on the season you’re traveling to Africa, you will benefit from the morning and evening safari drives. Morning wake-up calls are given to tourists, these are always a cup of hot coffee, African tea and a bite for just making you ready to prepare yourself, have a shower and get ready for the morning game drive. Most national park gates are open at 07:00 Am and close at 07:00 Pm but for the Savannah experience sometime you find it different where the morning game drive can be as early as at 5:00 AM to 6:30 AM. The next point to consider is that your safari game drive can be affected by when the sun will rise;it’s always for the tourist advantage to have an early start for the best experience. There is no need to worry since there are very nice serviced network of lodges closer to wildlife conservation areas and some just inside the tropical rain forest. No need to worry but to keep in closer look to keep away the dangers of monkey business and its advisable you always lock your forest cottage. The lodges in Africa will treat your safari style with a morning snack or rusk with coffee before hitting the road. 11. Bumpy ride on an open vehicle:We call this an African massage experience; your game drive sometimes will concentrate on the unpaved surfaces. The roads can be of gravel/murram and not the smoothest, so the few aches you will experience are part of your African journey to work on you some wild and remote massage. 12. Extreme weather conditions: Due to our safari style where we start our game drive very early in the morning until evening, there are possibilities to weather changes in the day. Africa is crossed by the Equator line and here weather can change quickly in a short time, from cold morning, to sunny day and later can expect rains or cold evenings. Some safaris are done with open 4X4 jeeps;it’s wise to pack many layers in your daily rucksack. As it’s colder you can add a layer or after the sunrise you can remove one layer and vice versa during the game drive. Note that some part of the roads will be dusty to throw in dust, but don’t worry its part of the African safari experience where you get away from home to the wild places. Want to discover more of travels in Africa in Uganda, Rwanda or D.R.Congo? Don't forget to browse through our range of Eco-ventures to this remarkable impenetrable swathe of wonders. 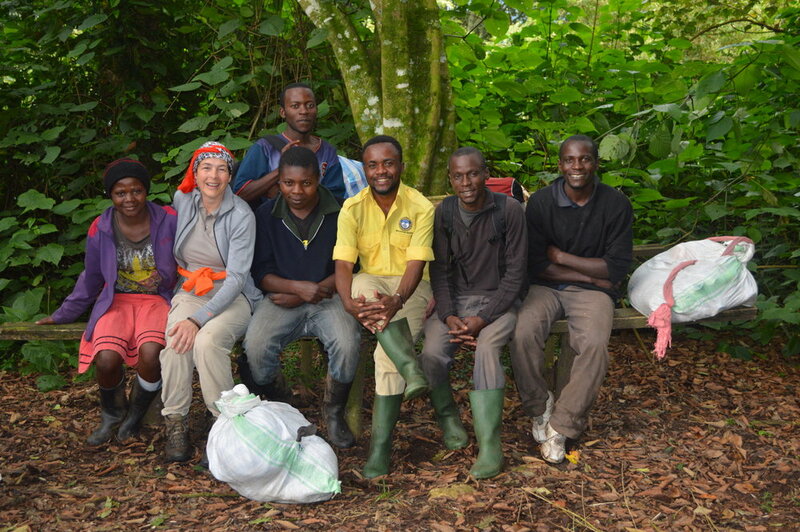 You can read our eco-projects for this job we do better as a community oriented safari operator.